Momma on a Mission: To the Boy Who Taught Me How to Love. When you were born, I had already been married for 4 years and 8 months. I had already been a mother for 21 months. Yet somehow, I had not learned how to love. You were the one that taught me that. Your birth was one of the most amazing experiences of my life. It was one of the most real experiences of my life. I had said that I wanted to be truly present for your birth, truly in the moment, and I was. I can't even explain how incredible your birth was for me- to go through the pain, the struggle, the agony, while fully experiencing all of it, knowing that you were waiting for me at the end. When that pain finally ended, and then you were there- all 8 pounds, 11 ounces, 15 inch head of you- and I had done it! I had never felt so joyful, so accomplished, so empowered. Your birth was the beginning of something wonderful, and not just because you had entered the world, but also because your presence in it would change me forever. 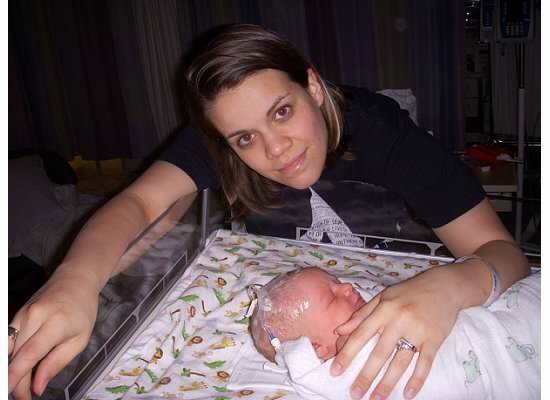 Just 6 hours after you were born, we had to take you in to the hospital. Your lungs didn't assimilate the small amount of fluid like they should have, and you were having trouble breathing. They stuck you with a needle several times, put an iv in your head, and put you in a bassinet in the NICU. I was scared. I was disappointed. But I was also numb. I didn't feel bonded to you yet. I would have done anything to protect you, but not because of the bond that we have now, more because I knew in my head that you were my baby and I'd someday fall in love. The bonding that we should have had right after birth was cut short. When they told me that we had to leave you in the NICU, that we weren't allowed in the room with you from 7-8AM, that everyone had to leave, I didn't fight to stay with you. You weren't even 24 hours old yet, and I left you. I regret that, and I'm forever thankful that nothing happened to you while I was gone. When we got to take you home 2 days later, you and I made up for lost time. My midwife told me to climb into bed with you and stay skin to skin for the next week or two, and we did. Those were beautiful days. Oh, the cuddles. I couldn't stop examining you all over. I couldn't stop taking pictures of you. And we bonded. When you were 6 months old, you taught me that not only was this Attachment Parenting stuff healthy for you, but that they were right about babies being people too. You were playing in the playroom, and I wanted you in the living room where I could keep an eye on you. I picked you up to carry you into the living room, and you started to cry! I froze- surely you couldn't be crying because I was taking you out of the playroom? Sure enough- as soon as I put you back, you stopped crying. I was amazed! You were a little person, and even though you couldn't talk or move around much yet, you had your own opinions and desires. From that day, I started to think about what things were like from your perspective, and how I could show you that your perspective was valuable to me too. When you were about 18 months old you taught me even more about that, about respecting your needs and communicating with you. You still couldn't talk much, but you could understand almost everything I said, and I was learning that very quickly. I learned that I could get you to easily go along with things that were unpleasant for you, but necessary, if I would just explain them to you beforehand and coach you through them. It seems so simple to me now, to just treat you with the same consideration that I would anyone else, but at the time that was a very novel concept to me. Your nearly instant positive responses were an excellent teacher. All of these things helped us to form an amazing bond. I knew what made you tick, and like any baby, you were crazy about your momma. But what I never expected was for that bond to grow even deeper as you made your way through your second year. I had chosen to nurse you, of course, just like I had nursed your sister. She and I had a wonderful 15 months of nursing, and the first 15 months of nursing you were much the same. I never expected a surprise to come along after all the experience I already had. I knew from the beginning I wanted to nurse you for longer, to let you self wean when you were ready, but it totally caught me off guard that it was so very much different than what I had already experienced, both with you and your sister. With Hayden, and at first with you, nursing was a bonding experience, but it was also a functional one. You were hungry; I fed you. Simple as that. Yes, it was wonderful, and of course I treasured it, but at the core it was still an act of necessity. Not so as you got older. You tried food for the first time at 9 months old, but by the time you were 18 months you were crazy about it. You were eating everything you could get your hands on! Even so, your favorite thing in the world was still your num nums, and like I had planned, I continued to nurse you. It was so different for me now though. 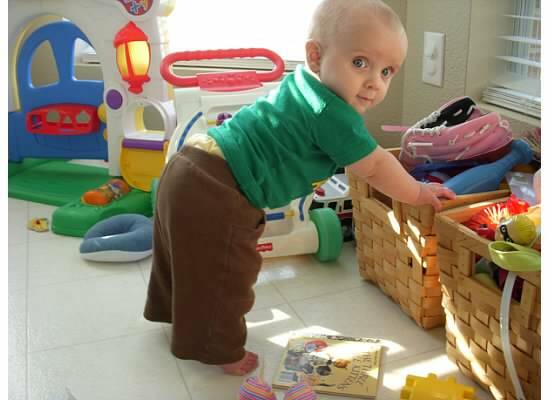 You weren't a baby anymore- you were growing into a boy! You were walking, talking, playing, interacting! You were eating food, and not just bites here and there, but a regular diet! I knew you didn't need to nurse for sustainment anymore. Our nursing relationship was no longer a mainly functional one, but had become an emotional one. It was both strange and exciting for me at first. I had never experienced anything like it before. Not only did I love you as part of my family, as my child, but I was willingly sharing my body with you- not because you needed it to survive, but just because I loved you. That realization, that sharing of such a deeply tangible part of me with another human being began to open my heart in a way that it never had before. I had never shared myself so freely, so deeply before. It was revolutionary for me! And then, as things started to fall apart, you taught me once again how to love. You see, as I was growing closer to you, your sister and I were pulling farther and farther apart. We became enemies. I didn't enjoy being around her. I didn't know how to handle her. I didn't know what to do with the angry feelings inside of me when she did something I didn't approve of. They scared me. I started to hate motherhood. That really scared me. I knew something was really, really wrong. I was starting to suspect that it had to do with the discipline method and mindset that I had. Your sister was getting lots of spankings back then. One day I was looking at you and thought about how someday you would get bigger, and I'd have to spank you just like I spanked your sister. I had barely finished the thought when I felt my heart breaking into a million pieces- just at the thought of doing that to you, of violating your trust in me like that! I knew I could never strike you. Then the sobering, life changing truth dropped into my heart- How could I feel that way about you, while at the same time hitting your sister just about every day, sometimes multiple times a day? What had I done? That thought led me on a journey- to grace, to love, to relearning what I knew about parenting, about grace, and about myself. It ultimately led me to gentle discipline, to learning to disciple the two of you, instead of punishing. I began to change the way I interacted with your sister, and the way that I thought about her. I stopped spanking, and started connecting. I learned how to set boundaries without punishing. I learned to start letting go of my fears and my need for control. Just how I had learned to open my heart with you, I began learning how to open it to others too. The bond that I had lost with your sister is being restored. The bond between your dad and me is more real than ever before. Amazingly, as my heart began to open to love, I began to feel God's love more deeply, and in a more real way than I ever had before. For the first time, and after 26 years of following Him, I truly began to understand just how much He truly loves me. I began to truly follow Him, to long for Him, to love Him and allow Him to love me too. Then I understood that this was His plan all along- that He sent you to me to teach me how to love, to teach me how to draw closer to Him. You were just a baby- of course you didn't know what you were doing, how deeply you were changing me. But He knew, and He used you. Because of Him, and because of you, I'm learning how to truly love, and I feel more alive, more real than I ever have before. I don't know if you'll ever understand this impact that you've had on my life, but I'll always be thankful. Thankful for you, the boy that taught me how to love. To love at all is to be vulnerable. Love anything, and your heart will certainly be wrung and possibly broken. If you want to make sure of keeping it intact, you must give your heart to no one, not even to an animal. Wrap it carefully round with hobbies and little luxuries; avoid all entanglements; lock it up safe in the casket or coffin of your selfishness. But in that casket-safe, dark, motionless, airless-it will change. It will not be broken; it will become unbreakable, impenetrable, irredeemable.